This morning I filled 15 small, clay post with soil and a few seeds for the Justice Kitchen event next week. I planted Freckles Romain lettuce (a French heirloom with maroon splotches on the leaves) and “Sparkler” radishes. The pots will be take home gifts for the people who attend the event as a way to encourage people to grow some food for their selves. What could be easier and quicker than growing radishes and lettuce? Both vegetables have quick maturity lengths and do well in containers. Whether you have acers to plant or a mostly sunny windowsill, these two plants are perfect. As I filling the pots with soil I was thinking about the purpose that they would serve, and as I started to place the seeds in the soil I found myself say a short prayer for each seed, “May these seeds help us better understand the Kingdom.” I wasn’t using this prayer as a magical formula or incantation, but I was asking God to use these seeds to draw people closer to the work of the Kingdom of God. When I watered in the seeds I realized how dependent I am on God’s working where I cannot see. 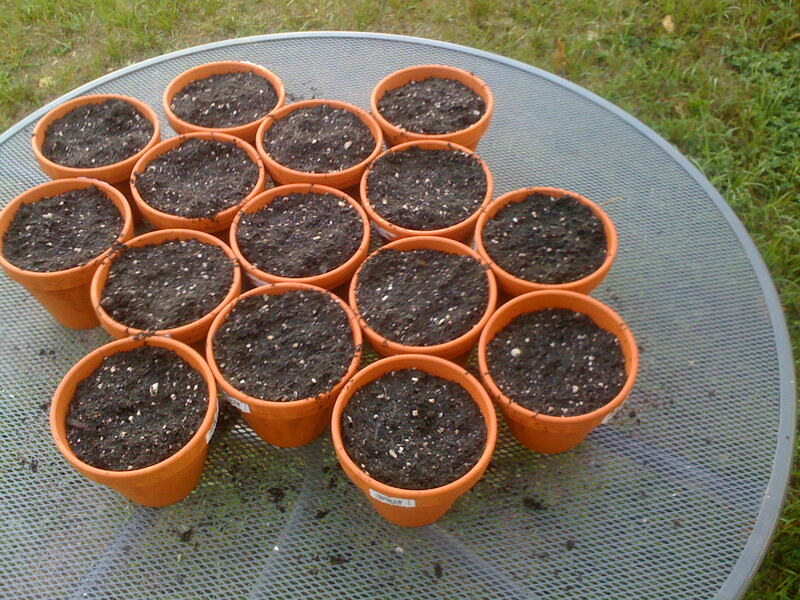 The next five days these seeds will be germinating below the surface of the soil. Creation will be at work where I cannot see. May the harvest be abundant.